I was born in Anchorage, Alaska, and raised just outside the famed Kincaid Park with its many miles of biking, hiking and ski trails. I can ski to Kincaid from our front door. My family is pretty active. Not so much in sports, but in work, community activities and school. We explored Alaska, traveling in my father’s Cessna 180. We visited Kiana, my mother’s home village, up north above the Arctic Circle, where my grandmother owned a store called Blankenship Trading Post. We flew to remote mining towns and to Skagway, where we hiked the Chilkoot Trail. My parents helped out with ski races and spent a lot of time driving me to practice. Skiing for real started at age five with Anchorage Junior Nordic. In elementary school, I was a good runner and I played soccer, but I quickly chose to focus on becoming fast on skis. At age nine I followed my sister Tamra to Alaska Winter Stars, a club team coached by Jan Buron, an Olympian from Poland, who is one of America’s top junior coaches. I moved up the junior ranks with a childhood goal of a college scholarship. In 2009, I graduated from Service High School and signed with the University of Alaska Fairbanks. Again, following in my sister’s footsteps, I studied Mechanical Engineering at UAF. I spent the winters traveling with the team and suffered in the library in the Spring to make up for the work I missed over the four-month-long ski season. 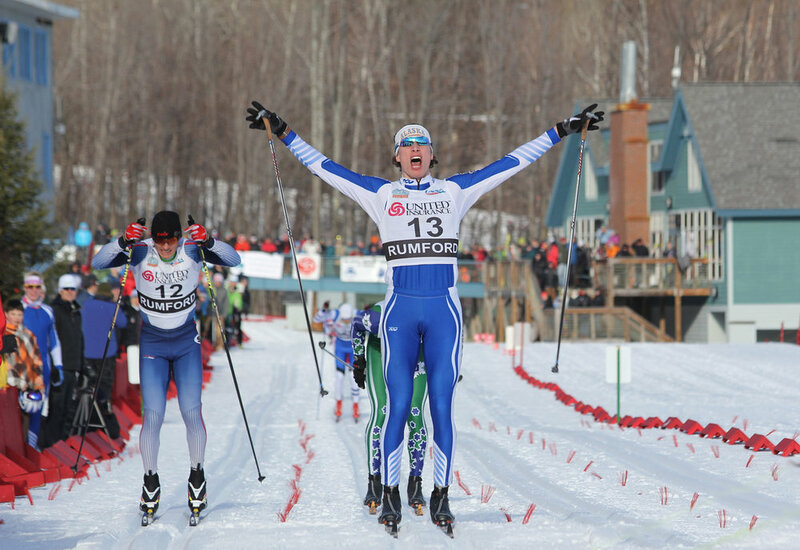 After graduating from UAF in 2013, I joined the Elite Team of the APU Nordic Ski Center in my hometown of Anchorage. Training six days a week under the direction of coach Erik Flora with the same guys I’d skied with, and against, since childhood, I was able to keep climbing the American ski rankings. My breakthrough season came in 2018 when I won the US National 30K race to propel me to my first Winter Olympics, joining Team USA in PyeongChang, South Korea.